Factory 506: You need it! Are you familiar with Teisseire Syrup? If not, trust me, you need to get accuainted with it! I first had this a few years ago while visiting a friend in Vermont. At the time, and I did not know what it was, much less that I needed it. But once I tasted it, I quickly realized that I needed it!!! And I am here to tell you that you NEED it too! We are completely hooked on it. The perfect summer drink. 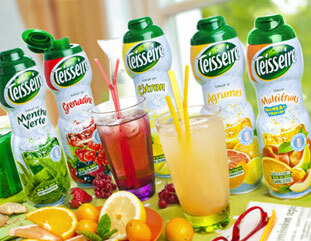 You mix this magical potion with your Perrier or other sparkling water to make your own perfectly flavored "soda". What I LOVE about this is that you mix as much or as little of the syrup as you want with your water, depending on how sweet you like things. 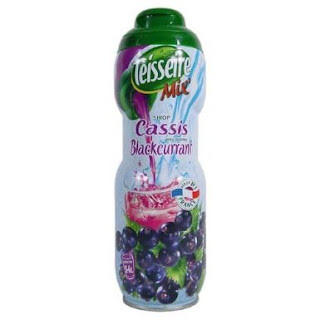 My son loves the Peach flavor, with lots of syrup, while my husband and I prefer, just a touch of the Cassis. 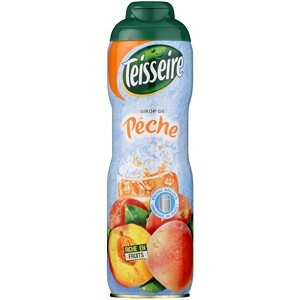 The peach flavor is also a great addition to white sangria! My friend had brought hers back from France, but the good news is, you can get it here. It comes in a can with a plastic spout. After you open it, you keep it in the refrigerator. A little bit goes a long way, so you get lots of yummy drinks out of one can.